Google is the most used search engine in the world (excluding China). Youtube is the second most used. 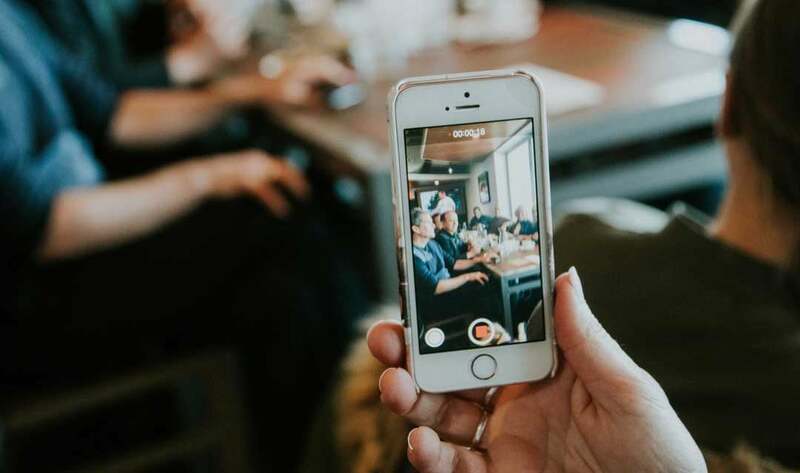 If you aren’t generating videos for your business, you’re missing out on a simple and inexpensive way of generating interest in your business. While well-made videos are more effective than homemade videos, the content of your video is much more important than how professional it looks. And in the world of homemade Youtube videos, Instagram stories, and live streams, the bar has really been lowered when it comes to video quality. Here are three easy-to-produce videos that every business should have on their website. If you don’t have the budget to hire a professional videographer, that’s okay: most smartphones shoot in HD video. Buy a tabletop tripod for your smartphone and get to work. Tell a potential customer about your product or service. There are a lot of ways to do this, but the easiest way to do it is to show a demonstration of the product or service in action. For services it’s important that you use data, case studies and actual customer results in your video. This gives extra credibility to your claims. Extra credibility points if you can include clips from client testimonials (see #2 below) in your video. Think of a product explainer video as your Elevator Pitch. Product explainer videos should be short, sweet, to the point, and ideally show your product or service. 30 seconds is about the magic number with a maximum of 60 seconds. Most customers don’t have an attention span longer than that. Stick to one or two features or benefits of your product – ideally the problem that you solve. Be sure to have some kind of call to action at the end of the video. The most credible review a business can get is a client video testimonial. Anything can be written on a website, but it’s very difficult to fake a video. Many clients find it super awkward to speak to a camera. Even clients who are comfortable doing it tend to say “uh” and “um” a lot, so I recommend just having a conversation with them on camera. And take some B Roll content to fill in the gaps or hard transitions. This could be shaking the client’s hand, having them walk into your office, footage of them using your product or service, etc. Pre-Interview – talk to your customer ahead of time about what to expect. Don’t ask too many questions though, you want their answers to your questions to sound natural. Get To Work – whenever possible, shoot the testimonial video at your place of business or at the client’s place of business. This adds authenticity to the testimonial. Environment & Lighting – make sure that your subject is well lit, that the camera footage isn’t over or under exposed and that the room has good acoustics. In general, the more open the space, the better. Small enclosed spaces tend to lead to poor audio. B-roll Is Important – as mentioned above, be sure to capture B-roll footage. This helps to make the video more interesting than the customer just starting at the camera. And is also useful for filling in awkward pauses, places where you cut out “uhs” and “ums”, or hard transitions. Keep The Camera Running – whenever possible, just keep the camera running. You can edit everything later. This helps keep everything informal. Keep It Casual – the most effective videos flow like a conversation with a friend. Extra points if the customer forgets that they are being interviewed. Helpful Tip – it’s useful to have the customer repeat your question back to you in their answer, if this can be done in a natural way. Tell your company story. Customers love a good story. Telling an effective story adds an emotional component to your company, making it more memorable. Introduce your team. Show the audience your office. Show the viewer what makes you special. Crowd Sourced Video – Encourage your employees to submit video content to be used in the video. Depending on your product or service, you can even ask customers to submit video. Doritos (Frito Lay) has been very effective at doing this. One year they crowdsourced a Super Bowl commercial. Employee Interviews – What do your employees do? What do they love most about their job? What specifically do they do in their job? Apple has made excellent use of this technique. Especially using videos of their engineering team. Company B-Roll – Include footage from company events, parties or conferences. This helps the audience to better understand your company culture in an authentic way. I’m sure there are thousands of other services, but personally I use and love the Adobe Premiere line of products. First, video files are super big. Putting them on your website directly may bog it down. Second, Youtube and Vimeo are both social video platforms. Having your video on these platforms not only save you disk space on your website, but they significantly increase the likelihood of them being seen. Make sure to include a link back to your website in the video description to help potential customers find you. Finally, once the video has been uploaded to Youtube or Vimeo and you have embedded it in your website somewhere, share a link to the page on your website that contains the video on your social media.